Do you own a Child Care Center or Dream of Owning a Center? If so, this Coaching series and ebook is for you! 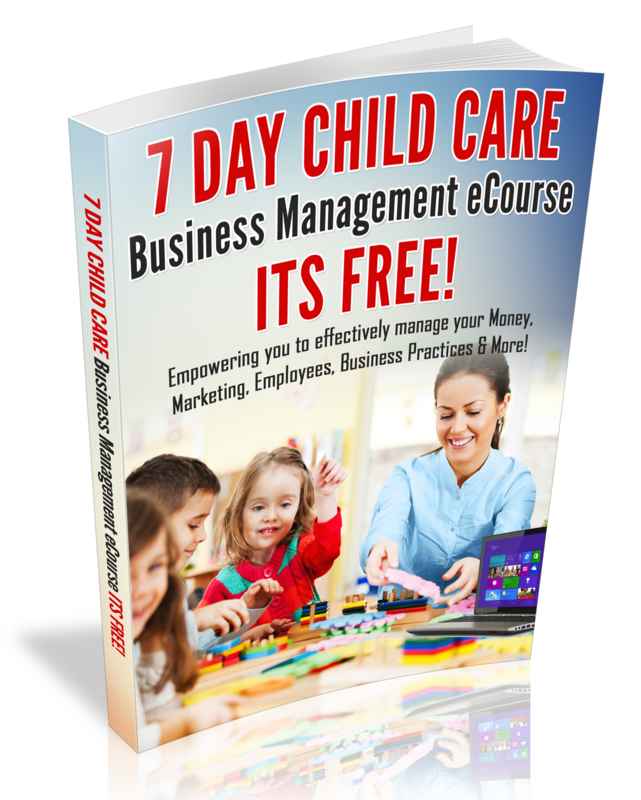 “ The Art of Owning a Child Care Center Audio Coaching and ebook series has been created to empower you to become an amazing boss, provide you with effective and proven team building strategies. Moreover you will be provided with my top Business Growth, Center and Business Management Strategies, along with tips on how to stay inspired as a Center Owner. ***All seven of the coaching sessions above were recorded in seven empowering short coaching sessions with your Busy Life in Mind. You can listen in Your Car, Listen on your cell phone or while sitting at your computer! “It’s Time To Get Inspired and Empowered! Get the ebook and Audio Coaching series Today! !